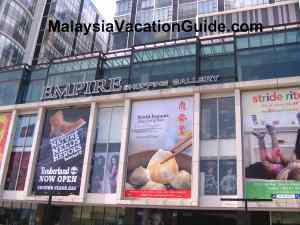 Empire Shopping Gallery, the latest shopping mall at Subang Jaya. The Empire Shopping Gallery is the latest shopping mall to open in Subang Jaya. 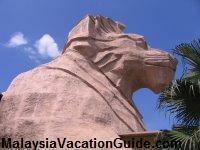 It was opened in 2010 and is located behind Subang Parade and opposite Wisma Consplant. You will be able to see this mall if you are travelling from Petaling Jaya towards Klang using the Federal Highway. The entrance of the Empire Shopping Gallery. 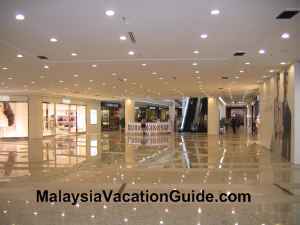 The spacious mall as you enter through the main entrance. 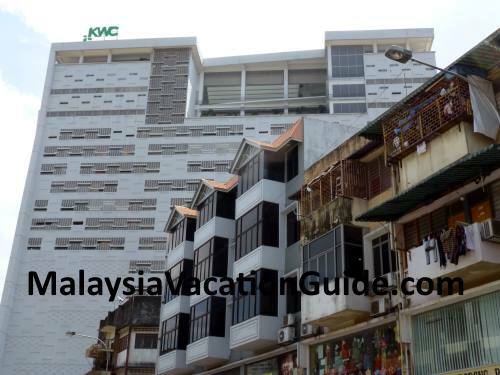 Besides the shopping mall, the Empire Hotel Subang which is also developed by the same developer is also located here. The rates of the hotel change everyday depending on the season. The main anchor tenant here is Tangs departmental store. 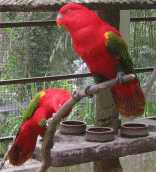 This Singapore-based company is located at Upper Ground and Ground floors. You should be able to get most of your shopping needs such as clothes, shoes, leather goods and other household goods here. Jaya Grocer has most of the household groceries that you can purchase for your daily needs. 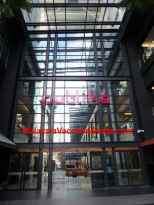 It is located at the Lower Ground Floor. Popular Bookstore has an outlet here, making its presence felt in almost every big shopping mall. ESH sells electrical and electronic goods and is located at the Upper Ground Floor, beside Tangs. 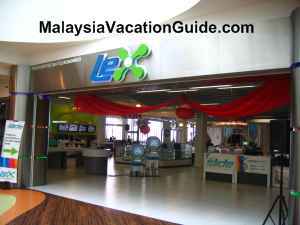 LeX sells IT products such as computers, mobile phoes, GPS, cameras and accessories. An interesting LeX Firefly Flight Simulator is also available here for those who would like to experience piloting an aeroplane. The price is RM30 for 15 minutes use of the flight simulator, guided by qualified pilot. Toy R Us has all types of toys for children of all ages. 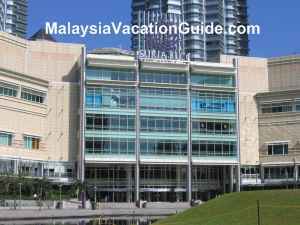 It is located on the 1st Floor of the mall. 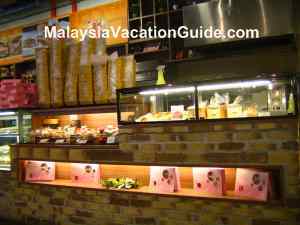 As with most malls, there are many food and beverages outlets that you can try. Italianes serves Italian food and has regular set meal promotion for about RM30. The Sao Nam is the place to taste the Vietnamese food in a nice and comfortable ambient. Kenny Rogers Roasters and O'Briens Irish Sandwich are other outlets that are located here. The Loaf sells high end Japanese bread and is located at the Lower Ground. For your banking needs, CIMB Bank is located at the Ground Floor. 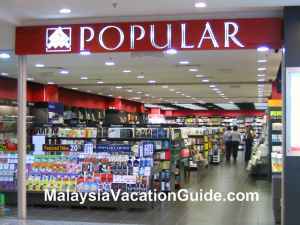 Popular bookstore has many books for you to occupy your time here. IT goods and accessories can be purchased at LeX. 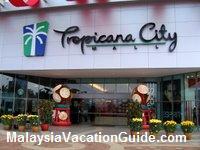 This mall is located near Subang Parade. Subang Jaya Komuter Station is the station to alight if you are taking the Komuter Train. You can take a cab here or take a 20 minutes walk from the station. It is open daily from10am to 10pm.